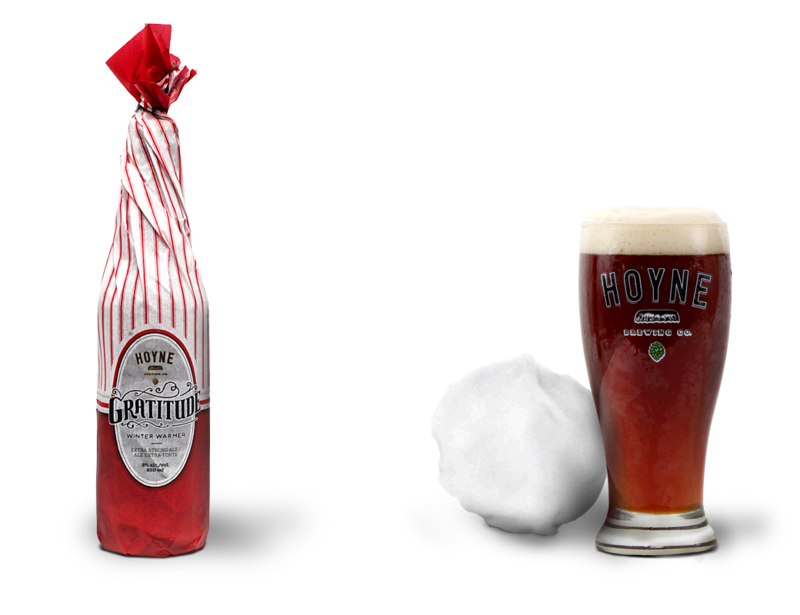 Last year, the Hoyne brewery was barely out of the cradle when they produced their first-ever Christmas ale, known as the Gratitude Winter Warmer. Now, a year later, they have once again made this limited release available just in time for the holidays. And of course, I felt the need to grab a bottle and see how this year’s vintage compared to last years. And just like it’s predecessor, this year’s Gratitude lived up to the name. In addition to being very smooth, malty, and balanced, it packed a nice spicy profile that was very pleasing to the palate and very warming to the body. I did note a certain creamy quality that was not there last year, one which reminded me of their Off the Grid Red Lager (which is currently my favorite from Hoyne’s lineup). Pound for pound though, I’d say its just as good as last year’s. But of course, there was also a festive spirit in the air that had to do with something other than their generosity of spirit.There was also the availability of their special winter warmer, Gratitude, which has been making the rounds in the Victoria area of late. An extra-special limited release, this beer was not even available on tap, but only by the bottle – the paper-wrapped, specially labeled bottle that is. Yes, each bottle of this winter ale comes with a label that expresses the brewery’s thanks to all those who’ve supported them this past year and all the things that we all are thankful for during the holiday season. And as winter warmers go, this beer is faithful to tradition and a pleasure to consume. Combining subtle spice notes with a strong, dark, malty base, the beer warms the gullet, ignites the palate, but is also smooth and appealing despite its strength (9% alc/vol). And surprisingly, the beer is quite clean despite its dark and rich character, something which is relatively rare in winter ales and barley wines. Congrats again Hoyne for creating something subtle, experimental, but altogether appealing and satisfying. Congrats also on your first great year, conveying quality craft beers to Victorians and people of the Pacific Northwest. Keep doing what you’re doing and don’t go changing to try and please people. I meant it, don’t change!